It’s not exactly rocket science…or is it? Can humans live on Mars? 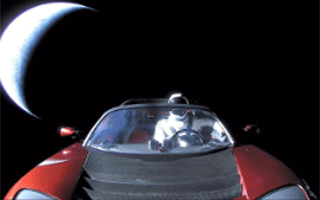 Elon Musk is optimistic, and he has already sent a Tesla to check it out! His futuristic image of life on Mars portrays a geodesic dome, no less. Can humans send a star into space? Peter Beck already did and here is his why. “No matter where you are in the world, rich or in poverty, in conflict or at peace, everyone will be able to see the bright, blinking Humanity Star orbiting Earth in the night sky. 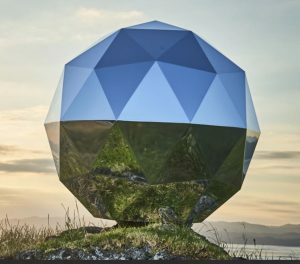 My hope is that everyone looking up at the Humanity Star will look past it to the expanse of the universe, feel a connection to our place in it and think a little differently about their lives, actions and what is important“. Both are concerned with the future of humanity and the finite resources of our planet – as Buckminster Fuller was in his time. We applaud their brilliance, dedication, creativity, commitment and undoubted legacies. What they’re doing at Space X and Rocket Lab doing most certainly is rocket science – and of course, they happen to make it look easy when we all know it is most certainly not. In fact, the opposite is true. But what about something that appears to be easy and is not rocket science? I’m talking about communication and those other tricky, hard to define ‘soft skills’ – where rocket science doesn’t really help us much. When we’re dealing with topics like empathy, relationships, emotional intelligence, and purposeful communication – practical tools and maps are often more helpful. Soft skills are wrongly named because for most of us they’re really hard. Let’s explore that definition in the context of communication in our everyday lives at work, at home and in our community. Not exactly rocket science. Meaning : Simple, easy; something that lacks complexity and is not too difficult to do or understand. TetraMap is definitely not rocket science – but it does help make those hard to master soft skills a whole lot easier to learn and understand. After all, today’s catch-phrase is ‘simplify’ not ‘complexify’! I Agree – making things simple in the complex world of business today is an art. Taking a thought from “rocket science” the more complex something is the higher the risk of failure. So thinking simple for success is really the holy grail. Thanks Nicki – we’re proud of the Humanity Star – coming from NZ- and more importantly the message behind it. Appreciate your continued contribution as a TetraMap Global Leader! Thanks Nicki for your thoughtful comment. Yes, TetraMap does break down communication barriers very easily and is definitely one of the many benefits. Let us know if you see the Humanity Star! You must be getting lots of clear nights with all that snow! Hi Louise – I agree wholeheartedly with your comments about TetraMap being simple, and its this simplicity that helps us to use to make sense of things in order to look at issues, identify solutions, and develop appropriate skills and attitudes. Also, thank you for bringing our attention to the humanity star – I hadn’t heard of it before but I LOVE this idea. I’ll be out on clear nights looking for it now, and when I spot it, I’ll think of you and all the other TetraMappers around the globe who may also bee looking at it – what a fantastic way to bring us all together and to connect our consciousness. Check out the educational resources and activities provided. Engage the next generation in caring for the future of our planet!